Two flute replaceable tip cutters for flush trimming of hardwood lippings etc. 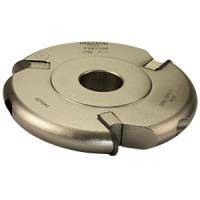 This bearing guided cutter is designed for trimming laminates and veneered products and has a dust shield fitted to extend the bearing life. 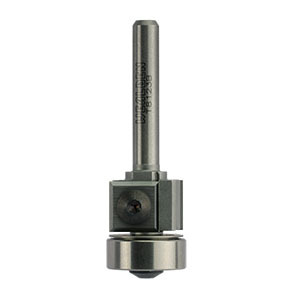 The cutters are supplied complete with two TCT blades, bearing and a Torx key.